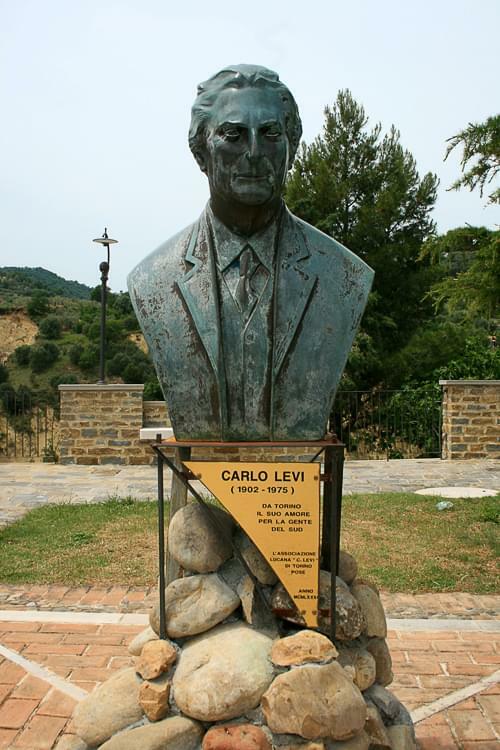 Carlo Levi was born in 1902 in Turin, Piedmont, to wealthy and influential parents. His father was Jewish and a doctor and his mother was the sister of Claudio Treves who was an important socialist leader in Italy at the turn of the century. Having graduated from high school in 1917, he attended the University of Turin, studying medicine. 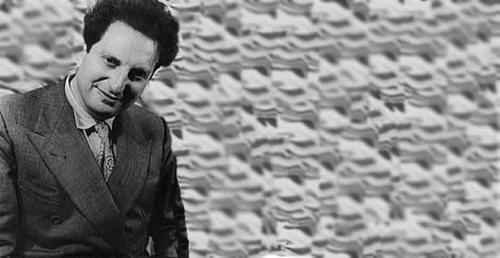 At university, he met Piero Gobetti, who inspired an interest in politics that would last until his death. Having graduated from university with high marks, he initially worked in medical research before deciding to pursue a career in painting. He moved to Paris and lived there, on and off, until 1934. In 1929, he had co-founded an anti-fascist organisation called 'Giustizia e Libertà'. 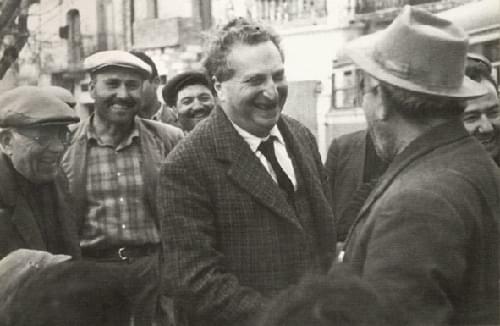 It was this political activism, for which he was arrested in 1935, that led to his exile to Aliano (the fictional town he called Gagliano in his book), in Lucania, southern Italy. He lived in this remote, hilltop village for a year and during that time he painted, worked as a doctor and observed the daily hardship of the villagers that he would later write about in his most famous book, 'Christ Stopped at Eboli'. Once released, he lived in Paris until 1941 when he returned to Italy where he was, once again, arrested. Following the fall of Mussolini, he was again released and it was then that he wrote 'Christ Stopped at Eboli', a vivid, first hand account of the life of poverty and deprivation endured by the Lucanians. Lucania, now called Basilicata, was at that time one of the poorest and most backward areas in Italy. The publishing of 'Christ Stopped at Eboli' in 1947 brought the problems suffered in the under developed southern regions of the country to public attention. He died of pneumonia in Rome on January 4, 1975. 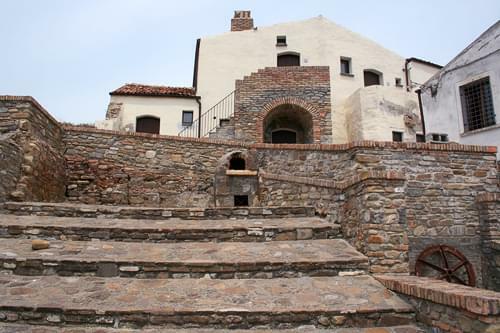 He is buried in the town that made him famous, Aliano in Basilicata.